This is going to be my last post for 2016 and as many of you know I have been using Q4OS during the past month to see how well it would work over the course of time. During the month I also reviewed Zorin OS and I was very impressed with the new look and the more complete experience that Zorin provided when compared with previous versions. 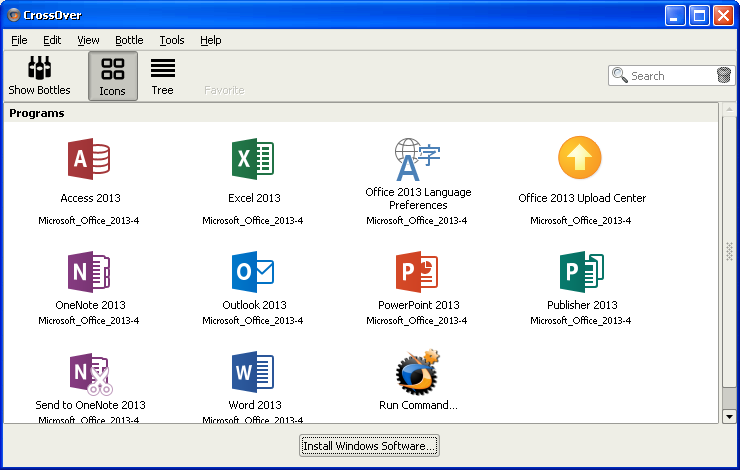 Last week I embarked on trying to use Microsoft Office with Q4OS with minimal success. I could use the online versions easily enough but PlayOnLinux and WINE let me down when I tried to install the full version to my computer. I was planning this week to talk about software development which is the final issue with working on Linux as I am a .NET developer and whilst there has been some move to enabling .NET within Linux it is far from a complete solution. 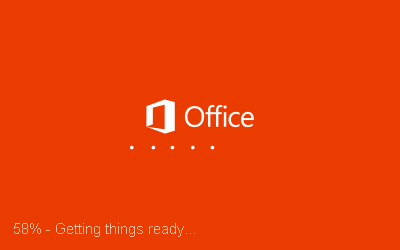 However I managed to actually get Microsoft Office installed within Q4OS and it works, well, it sort of works. Well it works now, it didn’t but now it does. I am not sure why and what fixed it. This post therefore is going to be a mish-mash and cover a few things. First of all I will show you what I did to install Office. I will then let you know about the issues I have faced with Q4OS, what happened with Zorin, a little bit about software development and then a summary. 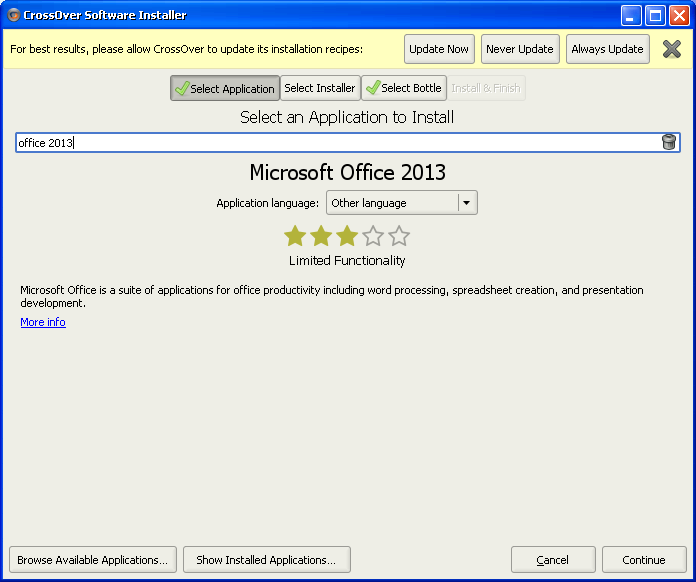 Download the free trial (although to continue using Office you will need to pay for the software at some point). The full version costs £38. The download is a debian file (.DEB). Double clicking on the file installs Crossover. 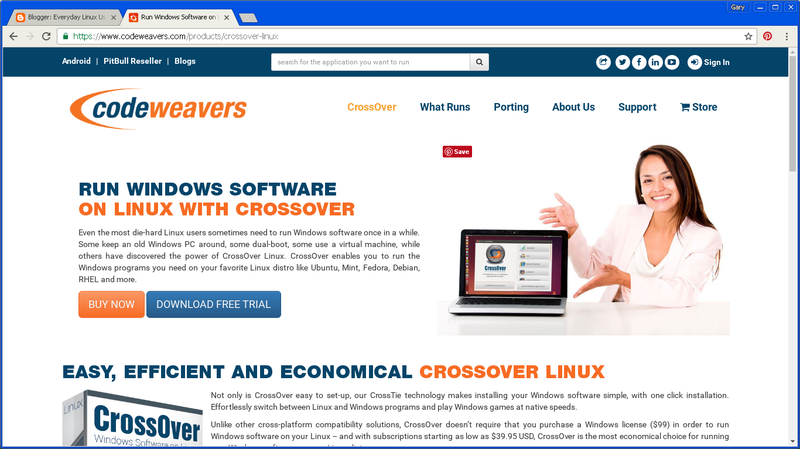 Crossover Linux is much like PlayOnLinux. It is a commercial venture rather than being open source. I did however get surprising results in that it worked with Microsoft Office. When you first run Crossover you get a screen much like the one above. 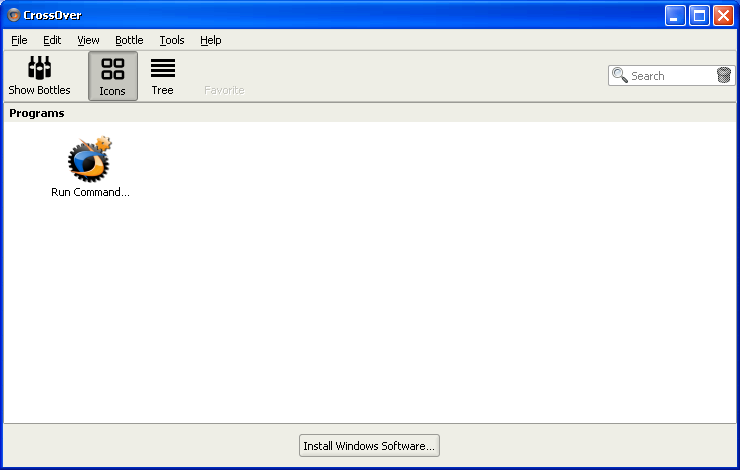 There is a button at the bottom called “Install Windows Software”. 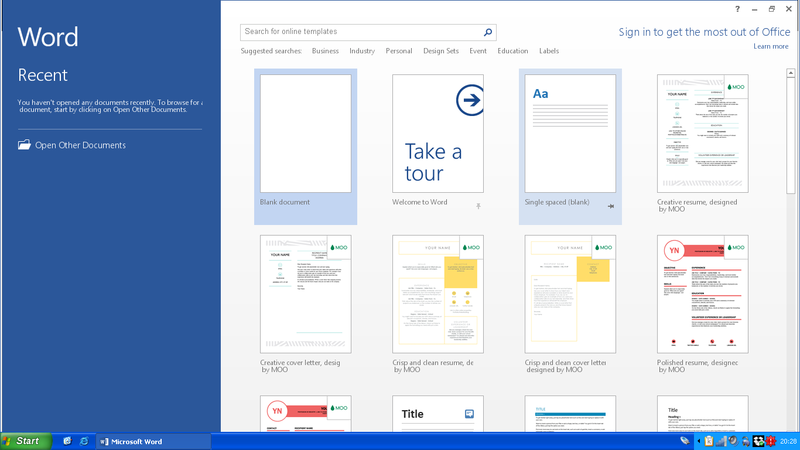 You can search for Office 2013 in the search bar and the option to install it will appear. Click on the “Continue” button to move forward. 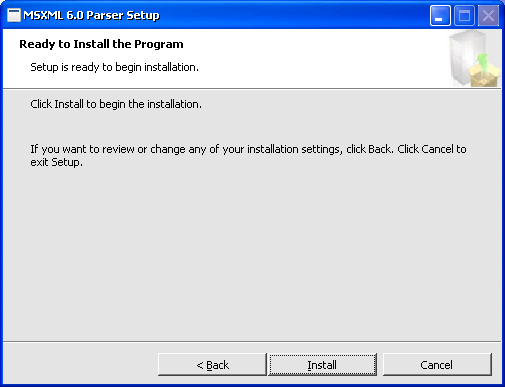 You will be given the option to choose an installer file. 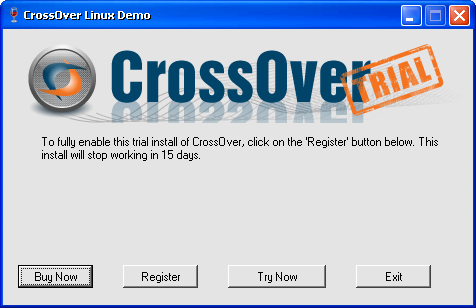 If you are using the trial version you will be given the option to buy, register or try Crossover. 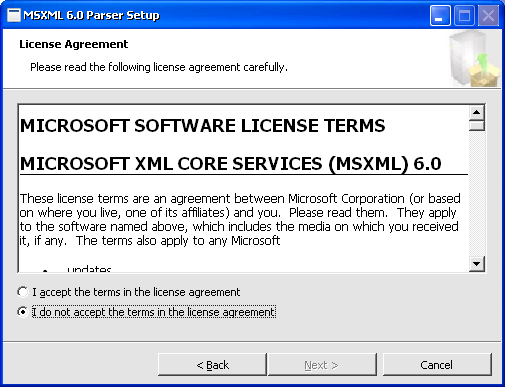 You will be asked to accept the license agreement for installing MSXML. 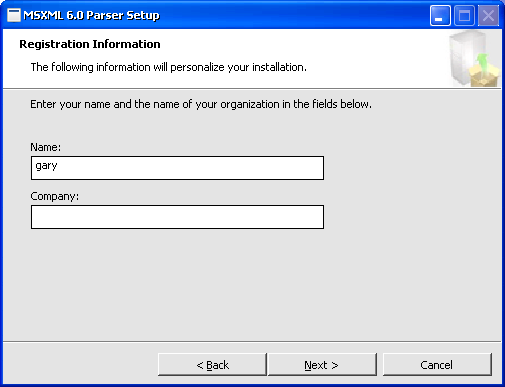 Enter your name and click next to install the MSXML parser. 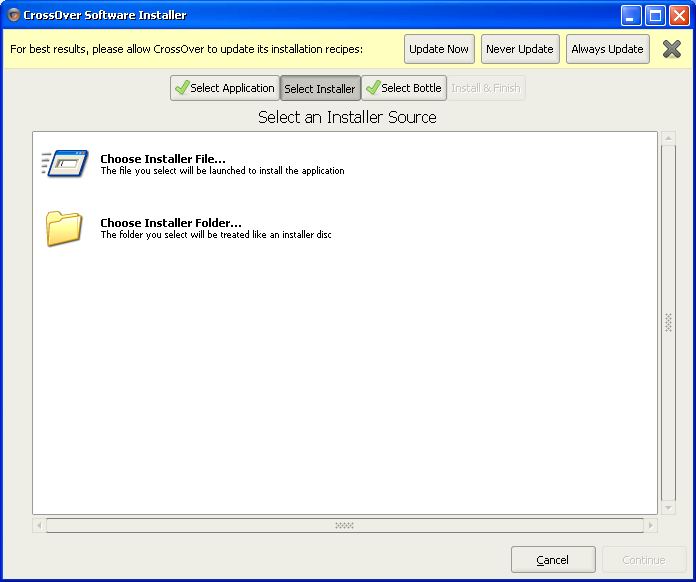 After you click install, the Office installer will start to download and the full suite of applications will be installed. After a while the software will have been installed and you can launch Word, Excel and Outlook via the Crossover application. You can also find all the tools under the Q4OS menu. Microsoft Word worked perfectly under Q4OS although I haven’t tried every feature (really, who does?). Microsoft Excel didn’t initially work so well. When I clicked on new document it said that it was out of memory. The only way to start a new spreadsheet was to open an existing file and save it under a new name and delete the contents. Obviously this wasn’t ideal. Microsoft Outlook worked ok but running against a GMail account required me to reduce the security to allow Outlook to work with it. Hardly ideal. I had no issues with Microsoft Powerpoint nor did I have any issues with Microsoft Access. The other issue I had was the activation wizard kept popping up asking me to activate Office 365 even though I was signed in. The activation wizard didn’t want to activate Office and from the message that was displayed it appeared to be complaining that the system wasn’t really Windows 7 as Crossover had set up WINE to show it to be. Ironically the time limit ran out for activating Microsoft Office and now it works perfectly well with Q4OS and Excel now works. It seem the activation wizard was taking up lots of memory. Within Zorin I tried the same installation via Crossover and everything worked straight away. Excel had no memory issues. The activation wizard did however pop up although not all the time. The truth therefore is that you can get Microsoft Office 2013 working within Linux and Crossover has proved itself to be a fairly decent tool. As part of my full time role I develop software in .NET and I am a dab hand with Microsoft SQL Server. These just aren’t available within Linux although there has been some movement on this front in recent months. This isn’t going to affect the average computer user which is who this site is dedicated to. If you are interested in software development then Python is well catered for and you can create cross platform applications using Python and QT. You can also use a tool called Plunker which lets you easily develop applications using AngularJS and React. These are the current future (although the future of software development seems to change on a daily basis). Personally whilst I am a .NET developer and I am qualified as a SQL Server developer and DBA I started off as a C developer and then moved on to C++ before moving to .NET and beyond. Switching to Java and Python shouldn’t really be a big deal and one I intend to embark on in 2017. I am also competent with Oracle and PL/SQL as well as MySQL so is a 100% move to Linux possible? 2017 could be that year. The whole point of the past month has been to prove that Q4OS can be used as an operating system for the Everyday Linux User. I believe that it is a perfectly decent distribution and I have no qualms in recommending it to you as a complete replacement for Windows. It is worth noting though that I used Zorin OS during this month as well and now here is the tricky bit. I think Zorin comes out slightly on top. There is no doubt that based on performance Q4OS uses less resources and for older computers will probably be better than Zorin. Q4OS is also probably better for people who are used to older versions of Windows such as XP because everything is even named the same. The XPQ4 theme will even make everything feel the same. Zorin however is more intuitive. Downloads go to the downloads folder and it handles the insertion of USB drives a little bit more effectively. Q4OS isn’t particularly clever when you remove and insert a drive. Q4OS sometimes leaves the previously mounted folders populated which means if you format a drive and copy new files to it the folder shown in Q4OS contains what used to be on the drive and not the new content. Zorin updates itself correctly every time. It might be worth trying out both and making your own judgement. I am personally happy using either of them. In January I will be removing both Q4OS and Zorin from this machine and embarking on something new. I have Fedora 25 and Enlightenment available to me and I intend to review the latest openSUSE. I will also review more Linux applications. Thanks for reading the blog this year and I will you all a happy new year. nice post The other issue I had was the actuation wizard kept flying up requesting that I initiate Office 365 despite the fact that I was marked in. I'm working in custom essay The enactment wizard would not like to actuate Office and from the message that was shown it gave off an impression of being griping that the framework.